I was diagnosed with Type 1 Diabetes over 20 years ago. During that time I always struggled to achieve ‘normal’ blood sugars and ‘good’ control, despite following the recommended low fat, high carbohydrate diabetic diet. This was particularly frustrating for me because as a GP, I am all too familiar with the complications from poorly controlled diabetes, and didn’t fancy the idea of having a heart attack, or losing my eyesight, kidneys or a limb because I could not keep my blood sugars in the normal range. Years of high blood sugars and steady weight gain meant my insulin requirements were continuing to increase, but my control was not getting any better. My blood sugars are now mainly within NORMAL range, something I never thought was possible! Several years ago I began researching the benefits of a low carbohydrate lifestyle and intermittent fasting for the management of Diabetes. I discovered that there is a lot of good evidence supporting its use not only for Diabetes, but also Obesity, high blood pressure and other metabolic health problems such as Polycystic Ovarian Syndrome, Fatty Liver and may help to improve Inflammatory Bowel Disease, Inflammatory joint disease and Dementia. 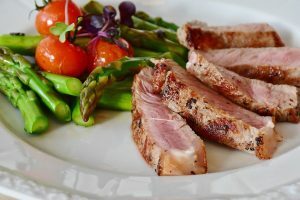 A low carbohydrate or ‘ketogenic’ diet is also being used to help manage certain types of Epilepsy and cancer. Since adopting a ‘Low Carbohydrate Lifestyle’, combined with intermittent fasting nearly three years ago, my blood sugars are now mainly within NORMAL range, something I never thought was possible! I have managed to lose (and keep off!) 20 kg, and can honestly say I have never felt this good! My diabetes no longer feels like a burden, as I finally have the tools to ensure my blood sugars remain normal (most of the time), which greatly reduces my risk of developing complications in the future. As a Low Carb GP I am passionate about working with my patients to help them improve their health and well being through diet and lifestyle changes, wherever they may be on their journey towards better health.